Laser treatments for laser hair removal and more are better than ever. At Primas MediSpa our Central London beauty clinic has all the latest technology for incredible results. Many people have apprehensions about laser treatments, whether you’re considering treatment for laser hair removal, skin or veins. But laser technology has improved markedly in recent years, and you may be surprised to hear that now it’s easier, quicker and less painful to sort your beauty niggles out for life. With an experienced team and some of the best technology on the market, Primas Medispa is proud to specialise in laser treatments. Laser skin rejuvenation is a fantastic catch-all treatment for a whole range of undesirable skin blemishes. Whether you’re concerned about wrinkles and fine lines, sun damage, acne, scars, or simple blotches, laser skin rejuvenation will work to reduce the effects and leave you with vibrant, healthier looking skin. 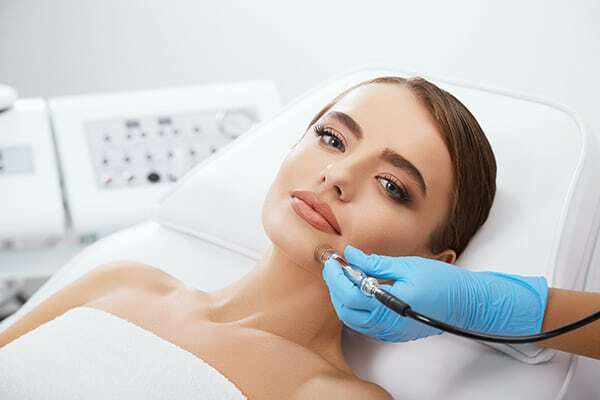 Laser skin rejuvenation works by carefully removing the upper layers of skin, taking all the imperfections with it, and leaving you with the beautiful younger looking skin you’ve always dreamed of. It’s a simple treatment with stunning results. Having coloured veins emerge on your face, legs and other areas of your body is one of those unfortunate signs of ageing that we often find happening to us earlier than expected. Luckily, it’s now easier than ever to fix the problem thanks to laser thread vein removal treatments. Our cutting edge laser technology works to simply destroy problematic veins and solves the problem forever in a short course of relatively painless laser treatments. A quick, easy solution to a common beauty concern.